Call us today at 312-256-5822 for your FREE consultation. "The Ideal Choice for all of your interpretation needs." ​Ideal Interpreter is a full service agency, specializing in Spanish to English Interpretation Services, English to Spanish Interpretation Services as well as Spanish to English Translation Services and English to Spanish Translation Services. The name “Ideal” could not be any more fitting, as we are synonymous with delivering the most simple, practical and stress-free experience to all of our clients. Language should never be a barrier in communicating and understanding any message being received or delivered. Ideal Interpreter is committed to providing the most comprehensive and effective solutions, no matter what the scenario may be. Our team of Language Experts are highly trained to provide Onsite Interpretation and Document Translation for individuals, groups, small businesses, medium size companies and large corporations. For these and many other reasons, Ideal Interpreter is truly the ideal choice for all of your Interpretation and Translation needs. What is Interpretation? In its most basic form, Interpreting is the practice of translating information orally from one language to another. What is Translation? Essentially, Translation is the practice of interpreting information derived from written text from one language to another. As the Spanish speaking population continues to steadily grow in the United States, so does the need for English to Spanish Interpreting and Translation Services. Spanish has long been the second most commonly spoken language in the U.S. and there is no sign of this changing any time soon. Ideal Interpreter recognizes this very important need and it is our primary goal to meet this need with the highest level of service, competency and professionalism. As a result of the growing Spanish speaking population in the United States, the need for Spanish to English Interpreting and Translation Services has become more prominent. As Spanish continues to be the second most commonly spoken language, Non-Spanish Speaking groups, small companies, large corporations and others, have adopted the language as a basic necessity. Disseminating information in both languages, simultaneously, has become common practice, and it has served as a mutual and collective advantage. Just as you cannot explain a concept to someone if you do not fully understand that concept yourself, neither can you interpret or translate a message without mastery of the subject matter being relayed. This simply cannot be emphasized enough: When choosing an Interpreter and/or Translator, his or her expert knowledge of the subject matter is equally as important as their Interpretation / Translation ability and experience. ​Ideal Interpreter does not take this fundamental fact for granted nor do we underestimate the impact it has on our ability to provide the highest quality level of Interpreting and Translation services to all of our clients. We perform a rigorous screening on all of our Interpreters to ensure that they possess, both mastery of language(s) and specific subject matter. ​Take a look at some of the specialized areas where we assign our very own CIA - "Complete Information Acquisition Agents." Not many people would argue against the statement that even the most Literate Legal Minds have a challenging time understanding Legal Terminology. Can you begin to imagine how the rest of us laymen feel when facing such a daunting task? Now, add to that having to comprehend Legal Jargon in a language you don’t speak… talk about “Double Jeopardy” – pun intended. At Ideal Interpreter, we are all too familiar with such challenging circumstances, as we provide the most proficient Legal Interpreting and Translating services in the industry. Our Legal Interpreters and Translators are specifically trained and have a vast amount of experience in the Complex Language of Law. Furthermore, we have a large network of Legal Interpreters specializing in different areas of law including; criminal, corporate, labor, real-estate, immigration, among many others. You may never become an expert in Legal Terminology, but with Ideal Interpreter, you will never need to. There is absolutely nothing more important than your health. Therefore, understanding the information relating to your health is essential to maintaining a long and healthy life. Like most things, the more you know and understand, the more you are prone to practice and apply that knowledge. However, too often are patients unclear about the information they receive from their doctors and other health care professionals. And more so, if the information is not in the patient’s first language. Ideal Interpreter is well aware of this information barrier and we diligently strive to provide the most accurate Medical Interpreting services available to Spanish Speaking patients. From understanding preventive medical measures, different treatment options, prescription medication, to understanding the complexities of medical insurance costs, it is very easy to experience information overload. Our Medical Interpreting and Translation team is very knowledgeable and well prepared to clarify any medical question you may have. As many would agree, understanding and managing your finances is essential to achieving many of life’s goals. Whether it is opening a bank account, managing your credit, buying the home of your dreams, starting your own business or investing for your retirement, it is critical that you have a clear understanding of your finances. Ideal Interpreter fully understands the great importance of this and we firmly believe that language should not prevent anyone from reaching their financial aspirations. That is why our team of Financial Interpreting Experts takes great pride and is very serious about providing the most diligent Interpretation and Translation services. With the assistance and guidance of our Financial Specialists, you will leave a meeting feeling confident in your newly acquired knowledge of your finances. In short, you can rest assured knowing that all of your questions will be answered and all of your concerns will be addressed. To say that Interpretation and Translation Services play a crucial role in Immigration court cases, and Immigration matters in general, is a blunt understatement. Especially in our country’s current and ongoing state of Immigration Reform dialogue, competent representation in such important matters has become that much more vital. In such critical times, Ideal Interpreter is positioned to provide and deliver exceptional Immigration Interpretation and Translation services, specifically for Spanish speaking individuals. A fact unknown to many, unlike Immigration Court, the U.S. Citizenship and Immigration Services do not provide Interpretation or Translation services for immigration interviews. Therefore, anyone who is applying for citizenship or just becoming acclimated with the application process, is required to obtain their own Immigration Interpreter. Our highly trained specialized team of Immigration Interpreters and Translators are here to assure that all of your Immigration related needs are met with the highest level of professionalism, competency and accuracy. ​The corporate world is infamously known as a “cut throat” environment. Among many reasons why, one can conclude that when it comes to business, the “bottom line” is that there is very little room for error. Therefore, effective and efficient communication is of the absolute essence. Every corporate meeting entails intense discussions, deliberations, agreements, and resolutions – therefore, diverse languages shouldn’t be a barrier to having effective communication. Ideal interpreter offers an exceptional simultaneous interpretation between parties speaking Spanish and English as different languages. 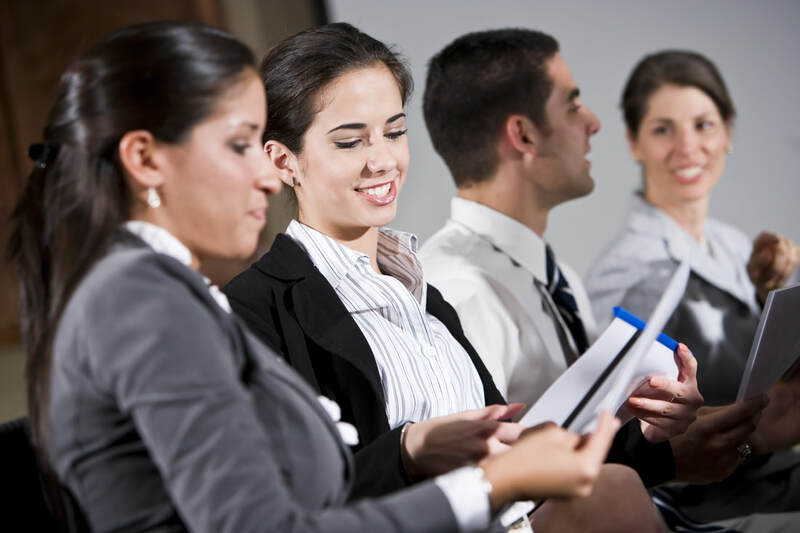 We offer Corporate Interpreting services for business meetings, seminars, training, client meetings, etc. 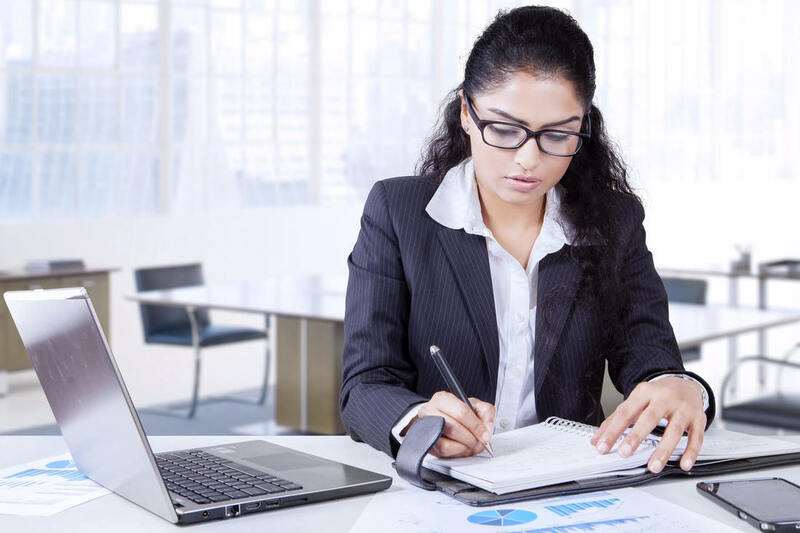 Our corporate interpreters possess corresponding knowledge as well as an esteemed proficiency in the delivery of corporate interpretation services. To make the best of every communication, contact us to provide professional Corporate Interpreting services for your clients and also to translate corporate documents in order to aid your dealings in English / Spanish language. Another very important area in which Spanish / English Interpreting and Translation, is of great necessity, is the sector of Social Services. Social Services are a range of public services provided by government programs, non-profit organizations and some private entities. Among countless services, social services include benefits and facilities such as; education, food subsidies, health care, job training, subsidized housing, financial assistance and social security. These services are created to primarily assist and help improve the lives and living conditions of the children, the disabled, the elderly, and the poor in the national community. Ideal Interpreter recognizes the importance of such services and the significant need for service recipients to understand the information they receive from social service providers. Equally as important is the providers’ ability to facilitate recipients in their understanding of such information. Therefore, Ideal Interpreter is here to act as the Language Liaison between the two parties. Q: Who Can You Trust? ​Ideal Interpreter fully understands that you have various options to choose from when deciding on an Interpreting and Translation Agency. We also understand that at the end of the day, it all comes down to TRUST. Who can you trust to provide the most accurate Interpreting and Translation Services? Who can you trust to interpret and/or translate at the highest level of Language Proficiency as well as Subject Matter Expertise? Who can you trust to answer all of your questions and address all of your concerns? Who can you trust for the best overall experience delivered with the highest level of service? This can obviously be a difficult decision for you to make and We Trust that you will make the right choice for you. ​Our promise is actually a simple one: Ideal Interpreter, promises to do what we always do for all of our clients. We promise to treat you and your specific circumstances with the utmost level of attention, integrity and professionalism. When it comes to our clients, there is no detail too small and no request too big. We promise to listen to all of your wants and needs, and aim to meet all of your expectations. Who knows? We may possibly surpass your expectations and over deliver on our promise. Give us the opportunity to earn your valued trust and we will do everything to not just earn it, but keep it for years to come! That is our promise and we stand by it 100%. ​Call us today at 312-256-5822 for your FREE consultation.